”White Wolves: Ghosts of the Arctic” is a somewhat scary documentary about the wildlife of Ellesmere Island, a Canadian territory in the Arctic Sea only 1,000 km from the North Pole. The human population of the island is only about 200 people, but wildlife seems to be thriving despite the hard climatic conditions. 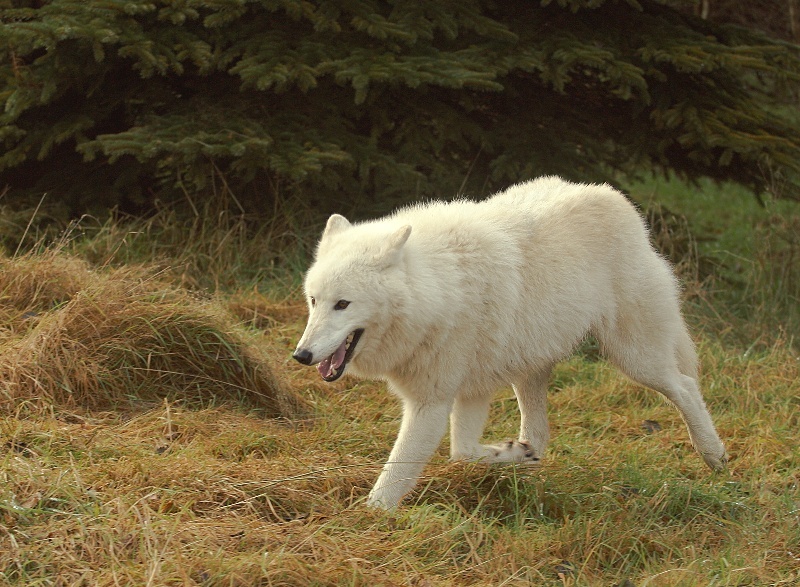 The main part of this production, signed Ivo Nörenberg and Oliver Goetzl, deals with the Arctic wolf or White wolf, a subspecies of the Grey wolf found in the North American High Arctic. We also get to meet muskoxen, Arctic foxes and Arctic hares. Birds shown include jaegers (skuas). The lives of Arctic wolves are brutal, and I´m almost tempted to say that “wolf is wolf to other wolves”. The flocks are fiercely territorial, but also competitive, and make frequent incursions into each other´s respective areas. Wolves attack and destroy the dens of other wolves, killing and eating the pups in the process. They also attack strays which accidentally or otherwise find themselves on the wrong side of the territorial divides. Yes, we get to see all this intra-wolf killing in the documentary. So you assumed animals never attack other animals of the same species? Think again, sonny! No Kropotkinesque mutual aid here. Personally, I admit that ”Ghosts of the Arctic” made me wax philosophical on more than one occasion. If you are an atheist-materialist, this is the only world that exists. You may whine about it all you like, but the universe (and the High Arctic) don´t give a damn. And if you´re a Neo-Pagan, I suppose you have to "relate" to these "magical creatures". Or something.